If you thought that there was some universal rule that a haircut must involve the cutting of wet hair, think again. In fact, taking scissors to dry hair has never been more popular. That’s because for certain hair types and styles, getting snipped when your hair is completely dry can actually improve the results—as well as improve the condition of your hair too. 1) Dry cutting is a friend to people with curly and wavy hair. Anyone with temperamental ringlets or waves knows that exactly where you slice and dice can make a big difference in whether you like the end result – and it can be harder to tell where the curls are going to lie when your hair is soaking wet. Cutting while the curls are doing their thing means your stylist can pick and choose where to cut so that they lie atop one another just right. 2) It can get you in and out of the salon faster. Ever notice how, after you have a traditional, wet haircut and your stylist has dried your hair she often has to go back over it again with the scissors, trimming here and there? Doing it dry to begin with eliminates most of this second-round work. 3) It can be gentler on fragile, thinning hair. Wet hair is more fragile and elastic (especially if over processed or fine), and can be prone to snapping while it’s being combed over and over during a wet cut. You’re likely to shed fewer strands during the whole process if you have a dry cut. 4) There may be fewer surprises. Because hair is so stretchy when wet, it looks much longer, and this is especially true for people with very curly hair. Cutting the hair when it’s already dry allows the stylist to trim just the right amount off – and eliminates the shock factor that can come right after a cut, when it can bounce up way more than anyone expected. 5) It can be more precise. When you dry cut you really get to see the movement of the hair, where most of the weight is and how much really needs to be cut off. Making it an ideal choice for fine or thin hair as well. One more bonus: You can see split ends more clearly when the hair is dry! 6) It’s 100% tailored to you. When hair is cut wet, many stylists are just following a formula and doing the movements that they were taught in school. But, when you cut dry, you are receiving a completely individual, custom haircut. Have you ever found yourself leaving the salon with a cut that was not exactly what you wanted or was and now you realize that you made a mistake? Well here are some helpful ways to deal with a bad haircut. You never really know how a hairstyle looks until you start from scratch and try it yourself. We firmly believe stylists actually go to some special school and develop magical hair powers, which is why we can never make our hair look the same as when it’s freshly cut. Wash it and try to style it yourself to get the best hair possible. Even though bobby pins have a way of disappearing before our very eyes (really, though, where do they all go? ), you can use the little tools to create some pretty neat hairstyles — no hair tie or hair length necessary. Unfortunately, you’re stuck with this cut until your hair grows out. Make the best of it by trying new styles, products or tools. Don’t be afraid to dust off the crimper that’s been hiding under your bathroom cabinet for a decade. Placing a bun on top of your head is basically the solution to everything. If you still have the length, try to perfect the top knot, messy bun, or the ballerina bun to disguise a less-than-perfect haircut. Big headbands look great on everyone and can cover up those annoying short layers that simply won’t reach all the way to your bun. This is more of a distraction mechanism, but who’s to say your crush won’t notice your chunky necklace or statement earrings before he/she notices your bangs? Also, retail therapy always helps. If you don’t like the cut, tell your stylist. It’s not going to hurt her feelings and she can even learn from your style. In my case, my hairstylist did a great job with the cut, I just didn’t like it! Now we both know to never try bangs again. Braids > everything. If you haven’t mastered French braiding or the fishtail braid yet, now is the time. You can have bangs, layers, or length with a good braid style. As you’re trying new styles or watching your hair grow back out to its norm, remember to remain optimistic. Maybe even get a little too excited about when you love the way your hair looks. Every reason is a good reason to have a mini-dance party. Rainbow hair is awesome. 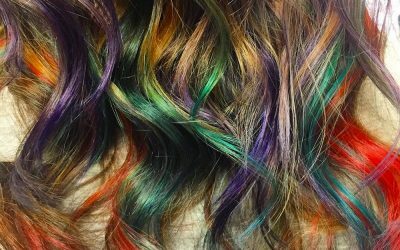 Whether you opt for some sand art hair or a My Little Pony-inspired mane, rocking a head full of color is a super fresh way to switch up your look. However, as amazing as a rainbow-colored head can look, it can also be super high maintenance. Especially if you have naturally dark hair. If you’ve been deterred from trying the trend just for that reason, we have a solution for you. Introducing: colombré. 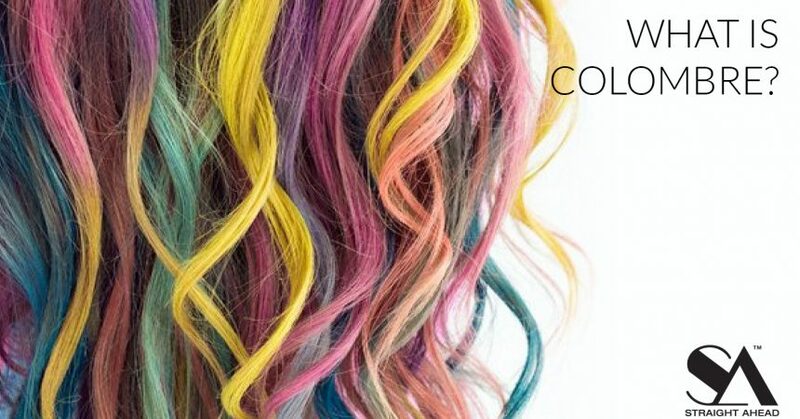 For colombré, rather than lightening the bottom half of the hair to a blond shade, the midshaft to the ends are transformed into a creative color, like blue, pink, purple, or turquoise. It leaves the top half of hair a darker, natural shade with a gradual shift down to creative color. We’ve seen the look sported with a range of colors, and we’ve also seen it with just one – it looks equally as cool either way. 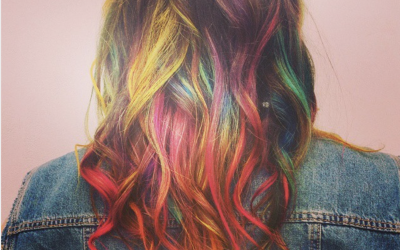 Boldly colored hair is the thing right now! The half-and-half hair dye is definitely still having a moment, along with cool pixelated hair dye and metallic silver hair dye looks. All of them are worth trying, but we love the colombré look the most. In our personal experience with it, the best part of colombré is how the colored dye continues to look beautiful as it fades. Because the color is mixed into the bottom half of your hair, there’s no root touch-ups to deal with. Plus, a topknot with a pop of color is basically the best thing ever. If you’ve been thinking about taking the color plunge, colombré could be a great way to jump on the bandwagon. Not only is it a slightly subtler way to try out the look, but it’s also more evenly integrated with your natural locks, making it much less maintenance than a dye job that starts at the roots. It’s nice having the option to do quick root touch-ups in between your salon visits. Especially when your big interview, hot date, or company gala happens to conveniently fall the week before your next color appointment and you need to camouflage those would-be grey saboteurs STAT. WHAT IT IS:Usually sold as a one-time-use box set of semi-permanent hair-color paired with an applicator brush for easier regrowth application. THE GOOD:Only one application is needed and is not formulated to wash away. THE BAD:Because of the permanency of this type of product, using a root touchup kit that is even half a shade too dark can result in “banding” and other color inconsistencies. If you have a multi-service color regimen (i.e. : base color and highlights), one accidental slip of that applicator brush or faulty sectioning could ruin your highlights or create unsightly spots and uneven color in the hair. THE BOTTOM LINE:Anything you buy in a box that requires you to mix two or more ingredients together to create a chemical reaction has some sort of permanency in the hair and is a risk that you’ll have to decide for yourself whether or not is worth taking. Being a “Kitchen Beautician” to save a few bucks in between professional services may seem like a good idea, and sometimes it works out just fine… but sometimes it doesn’t. So, buyer beware: Corrective color services require far more work than the usual maintenance regimen, often times racking up a costly bill. WHAT IT IS: Essentially, it’s like mascara- for your roots! These temporary colors can be swiped onto unsightly greys for instant coverage. THE GOOD:Inexpensive ($8-$12 for a tube that lasts months), easy to apply and shampoos out, therefore will not affect or interfere with your regular salon maintenance regimen. THE BAD:Many hair mascaras leave a slightly tacky residue anywhere it is applied. Colored residue may wear off on clothing or pillowcases. THE BOTTOM LINE:This is perfect for any style worn up (ponytails, etc.) but some users are bothered by the texture of the residue when the hair is worn down. This is not the type of product you would want to constantly run your hands through all day. WHAT IT IS:They look almost like eyeshadow palettes but contain pressed power and an applicator brush used to disguise roots. THE GOOD:One great feature of this type of product is the ability to touch up highlights by using a “blonde” powder on dark roots. The light weight power coats the hair seamlessly with no residual texture. Touchup powders are easy to apply and shampoo right out, therefore will not affect or interfere with your regular salon maintenance regimen. THE BAD:Colored residue may wear off on clothing or pillowcases and dark colored powders may show up on the scalp. THE BOTTOM LINE:My personal favorite for touching up blonde highlights. Just watch out on a rainy day. WHAT IT IS:Touch up markers generally contain a temporary dye used to conceal greys in between salon visits. THE GOOD:Most touchup markers are formulated to shampoo out, so that they do not affect or interfere with your regular salon maintenance regimen. The color is usually weightless & water resistant (must be shampooed out) and are less likely to rub off on clothing or pillowcases. THE BAD:Markers require a bit more tact to apply. Users are advised to use a comb (usually included) to avoid accidentally coloring their scalp when applying. Touchup markers are generally more expensive than their mascara or powdered counterparts running upwards of $30+. THE BOTTOM LINE:Great for seamless root touchups but not for highlight touchups. Application may take a little more time and skill. The water resistance is a plus and will withstand light rain or perspiration. WHAT IT IS: A colored spray for quick and easy grey coverage. The amount of coverage and level of lightness/darkness can be customized by the number of coats. THE GOOD: The fine, aerosol mist creates seamless coverage and just like the previous three options, touch up aerosols are formulated to shampoo out, so that they cause no harm to or interfere with your regular salon maintenance regimen. The color is usually weightless and water resistant (must be shampooed out) and less likely to rub off on clothing or pillowcases. THE BOTTOM LINE: These are easy to apply AND water resistant (most brands are but be sure to check the label). They’re great for styles worn down, but not recommended for pulled back styles. If you’re finding yourself in need of touching up your own roots more often than not, then it may be time to discuss other color options with your colorist. Are you an “every 5-weeker”? Try switching to every 4 weeks instead. It’s amazing the difference one week can make. If going to the salon more frequently is not going to fly with your budget, then consider changing your color. If your hair is 60% grey or more, consider going with a lighter base so there is less contrast when your roots grow in. If you’re a heavily highlighted blonde, consider switching from heavy highlights to soft, hand-painted balayage for a softer, less apparent regrowth line. Not in favor of changing your color? If your colorist works in a busy salon with colleagues at different price levels, ask if it would be okay to alternate between your beloved colorist and a lower priced associate so that you can come in more frequently and still get the same consistent color formula. Any good colorist will be more than happy to work with you to find a perfect regimen that fits your tastes, lifestyle and budget. Remember, the key to great hair and a happy client/stylist relationship is clear communication. If you have fine hair, you know it can be both a blessing and a curse. On the bright side, your skinny strands don’t need as much product to coat them. Often, fine hair is naturally silky and smooth, and responds to heat styling easily. But the downsides, on the other hand, are all too real. From tangles to lack of volume, fine hair sometimes takes some finagling to look great. If you’re frustrated by all the bombshell blowouts you see on the runway, you’re not alone. But the good news is: with the right routine, care, and products, you can whip your fine hair into shape! Fine hair describes your hair’s texture, which is classified in terms of the width, diameter or circumference of the actual hair strands. If you have fine hair, your individual strands are smaller in diameter, while coarse hair has a thicker diameter. Note: Not sure what type of hair you have? 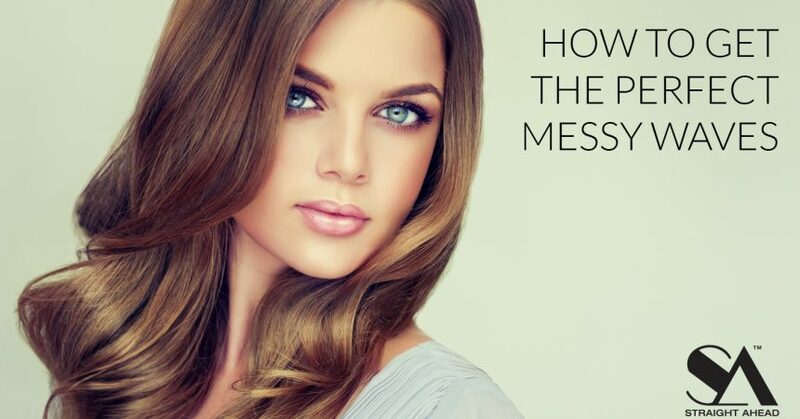 A simple hair texture test can give you the answer. Pluck a strand of hair and rub it between your fingers. If you can’t feel it, your hair strands are fine. If you can feel it between your fingertips, you have medium hair. If it feels thick and coarse, you have coarse hair. What’s the Difference Between Fine and Thin Hair? When you run your hands through your hair, does it feel like there’s not much there? Keep in mind this doesn’t necessarily mean you have fine hair — it may just be thin. While similar sounding, these are different qualities or traits that hair can have. “Fine” hair references the thickness of the strand, as with the texture test we described above. Having “thin” hair references the density of the follicles, or how close individual strands are to each other. It’s entirely possible to have hair that is both fine and thick, or coarse and thin. If the concept is still confusing to you, think about this: When men are balding, the concept used to describe the hair is “thinning” because they have less densely populated hair in a particular area. Fine hair can be easily cared for with the right products for your hair type. As always, it’s best to start in the shower. To avoid limp strands, wash every day to every other day with a volumizing shampoo. When you’re ready for conditioner, this is where it gets tricky. While you want to keep you locks conditioned, of course, overly-moisturized hair can end up flat and lifeless. If your roots get greasy fast, as fine hair tends to do, minimize the amount of conditioner you use and focus on the ends rather than your roots. You can also master this balancing act by using a leave-in treatment that will help repair, restore, and detangle your locks. Spray this on after your shower, and again, focus on the ends instead of the roots. After your shower, keep in mind that hair is much more susceptible to breakage when it’s wet — especially fine hair! Pat the moisture out of your hair with a towel rather than vigorously rubbing it. Avoid brushing your hair while it’s wet for the same reason. When time allows, let your hair air dry to prevent heat damage. If you must use heat, use a low temperature — and don’t forget to apply a heat protectant first! The old adage “you are what you eat” applies to your hair, too. Be sure to add biotin-rich foods into your diet, like nuts, bananas, and egg yolks. If you don’t think you’re getting enough biotin from diet alone, supplements are also an option. Maintaining and styling fine hair presents unique challenges. Here are a few of the common concerns, and how to combat them! Condition hair well. Ensuring your hair is properly moisturized is the best way to keep tangles at bay. The softer the hair strand, the less likely it will intertwine with other strands. Once a week, try a deep conditioner to boost your strands. Minimize blow drying. Allow your hair to mostly air dry before bringing out the blow dryer. Blow drying strips the hair of essential oils and dries it out, causing it to tangle more easily. Wash your hair every day. Unlike with other hair types, this is a must-do to combat greasiness. Use a sulfate-free shampoo that doesn’t strip your hair of essential moisture. Apply products from mid-length to your ends. Many products are too heavy for fine hair, especially when applied to the roots. Dry your hair 100% before leaving your house. Not doing so can add to the illusion of both greasy and lifeless hair. When in doubt, keep your dry shampoo handy! A quick spritz can refresh styles in an instant. Tip:Apply dry shampoo at night, not in the morning. This will give it more time to absorb excess oil, and any tossing and turning you do will give your hair more texture and volume the next day. Blow dry your hair upside down. Limit brushwork. Don’t sabotage your volume by brushing your hair too much. Too much brushwork can make your hair limp. Also, dry your hair at least 90% with your hands before going at it with your round brush. Ease up on products. When it comes to fine hair and product usage, remember: less is more. This rule applies to conditioner application, as well. Too much product will weigh down your hair and make it look greasy. Don’t sleep on wet hair. Unlike your coarse hair counterparts, fine hair doesn’t bounce back from a good night’s sleep on wet hair, mostly because fine hair doesn’t bounce to begin with. Sleeping on wet hair will kink, requiring you to style it using heat, which defeats the purpose of sleeping with wet hair. The foundation for beautiful hair includes great products and a great cut! In general, the best haircuts for fine hair are shorter. This is all thanks to gravity: if your hair doesn’t have natural volume, extra weight will only weigh it down more. If you’re not willing to sacrifice your length for volume, have no fear, there are haircuts that make movement and dimension still possible. The popular ombre coloring technique can also add depth and dimension to fine hair, so it’s a great option. After you find the best haircut for your fine hair, the next step is learning how to style it. The biggest hurdle people with fine hair face is achieving full-bodied and voluminous locks. The good news, though, is fine hair is one of the best hair types to have because it’s both manageable and malleable! With certain blow-drying techniques, quality volumizing hair products, and the right cut, all your hair goals can be achieved. Switch up your part. A deep side part can give the illusion of fullness, while a jagged part makes the top layers stick up, giving the illusion of thicker hair. Either option adds an instant boost to transform your tresses. Add waves. Hair looks fuller when worn wavy. Transform your naturally limp locks into gorgeous tresses with the use of a curling iron. Adding volume to the sides gives the illusion of fuller hair. Half updo or bun. This hairstyle gives you the opportunity to gently backcomb your hair to achieve the height of an updo, boosting volume with smart styling. Thick hair is often viewed as the ideal type of hair to have, but those who were born with a full head of thick, luscious locks are definitely familiar with the struggle of managing their mop. Sure, having volume is great and there are tons of options for creating versatile hairstyles, but what about the constant frizz and the time it requires to style that hair? If you’re struggling with the upkeep of thick hair, not to worry, we have crafted an entire guide of everything you need to know about caring for your thick mane. Thick hair tends to be more on the dry side of the hair spectrum, so it’s important to use products that keep your hair hydrated and keep the frizz at bay. If you’re a thick haired babe who’s struggling to keep her hair tamed below are our top product recommendations. Before diving into which products to use to tame frizz, it’s important to understand why frizz happens. Frizz is caused when the outer layer of your hair cuticle is lifted, causing moisture to pass through and swell the hair strands. When the cuticle is flat and not raised, the hair strands remain smooth and frizz free. This lifting of the cuticle can be caused by multiple reasons, but the most common reason for thick haired ladies is dry hair, leaving the hair cuticles more prone to lifting. Let’s say you have thick, dry hair, and you go outside when it’s humid…what happens to your hair? Because your hair is dry and the outer layer of your hair strands are lifted, moisture from the air will rush into your hair strands causing each strand to swell, resulting in big, frizzy hair. So, how do we combat this? If you’re a thick haired gal suffering from dry hair, hair oils are going to be your best friend. The key to maintaining frizz is keeping your hair strands moisturized and nourished, which can be obtained with a few different types of hair oils. Coconut Oil has moisture retaining properties. It stays inside the hair, moisturizing the hair strands from the inside out, making it one of the most effective hair oils for frizzy hair. Coconut Oil is best used as a moisturizing hair mask. Simply coat your hair with the oil from root to tip, pop a shower cap on, and leave the oil to do its work for about 20 minutes. Then, rinse off your hair, shampoo and condition as normal, and enjoy smooth, moisturized, frizz-free hair. Argan oil, also known as Moroccan Oil, is packed with beneficial nutrients like vitamin E, ferulic acid, fatty acids, and antioxidants. Just a few drops of Argan Oil will give your hair that extra boost of moisture to help fight dryness and frizz. Argan Oil is also not as greasy as Coconut Oil, so it’s perfect to use every day as a finishing oil. When it comes to choosing the right hot tools, it is important to choose the right hot tool for your hair type. Contrary to popular belief, not all hair dryers, straighteners, or curlers are made the same way, and certain materials are more beneficial to maintain the hair’s integrity as well as prevent the hair from drying out. Ever wonder why professional hot tools cost so much more than your run of the mill drugstore brand or why your hair always looks that much smoother and shinier when you leave the salon? 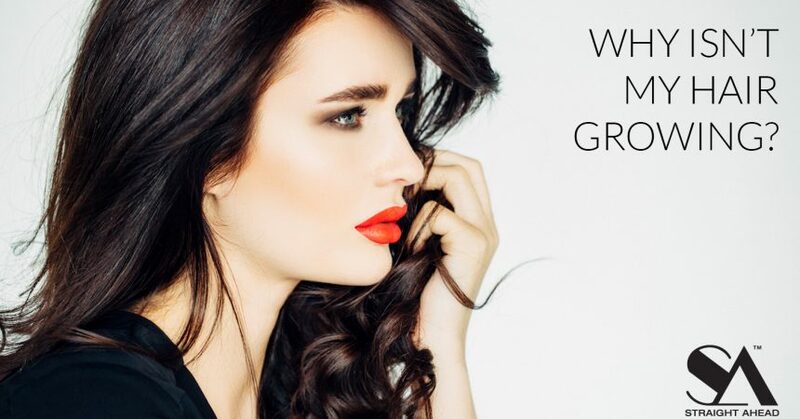 It’s because your hair stylist has invested in higher grade hot tools, which you should too! If you have thick hair, you’ll know the struggle of washing your hair and spending the next hour fighting with it to dry and style it. An ionic hairdryer cuts down hair drying time for thick hair, by using negative ions to break down water droplets on wet hair, leading to dry hair fast, while controlling frizz and boosting shine. Again, thick hair is usually much more prone to drying out, as the natural oils are unable to travel all the way down the hair shaft. This is why if you have thick hair, the ends of your hair will likely suffer from dryness naturally—especially if your hair strands are thick as well. Experimenting with a DIY hair mask is an inexpensive and convenient way to bring moisture and luster back to your tresses. Masks are important for every hair type, thick-haired girls included! Luckily girls with thick hair don’t need to make many adjustments to their diet to help thicken their hair any further or grow more hair, but it’s never a bad idea to focus on eating foods that contribute to your overall hair health. Just because you have thick hair doesn’t necessarily mean it’s healthy! Follow along for a few tips and recommendations that you can incorporate into your diet to keep you thick hair looking luscious for longer. Omega-3s are found in many types of fish, as well as from plant-based sources like nuts and seeds and is one of the best nutrients for strengthening hair, skin and nails. For thick haired gals, Omega-3s can do miracles for adding shine, minimizing breakage and strengthening the hair follicles. Click here to learn more about Omega-3s and their benefits to your body. Biotin, vitamin B12 and B6 are all essential for maintaining healthy locks. Whole grains, almonds, meat, fish, seafood and leafy greens are all strong sources of these vitamins and are important to support hair health. Often people don’t get enough of these vitamins in their diet will see hair loss and this is where supplements can be useful. Typically, girls with thicker hair tend to require quite a little more maintenance to keep their heavy locks looking sleek and tamed. Often this means more frequent heat styling or heavy product use, which can result in dried hair and fried ends. To keep your thick locks healthy and luscious, follow along for our go-to healthy hair habits. Adding layers is one of the first steps thick-haired girls can take to making their hair more manageable. Adding layers gives the hair natural body and movement and also thins out the hair to help tame it and give it shape. Hair masks are a healthy hair habit that all girls should incorporate in their self-care routine, but especially those with thicker, coarse hair! As mentioned earlier, the natural oils in thick hair are unable to travel down the entire length of the hair, leading to dry hair, especially at the ends. This leads to frizzy, unmanageable hair, which a hair mask once a week can help fix. This is actually a healthy hair habit that most girls should practice, but it is easiest to do if you naturally have thick hair. Since thicker hair tends to lean more on the dry side than the oily side anyway, you can get away without washing your hair for multiple days in a row before your hair starts actually looking oily. Washing your hair too often can actually strip the natural oils from your hair, leading to a cycle of dry hair, so if you’re struggling with dryness, it’s a good idea to cut back your washes as much as possible (even to once a week if you can!) in order for your hair’s oils to balance out. And hey, if you’re struggling with oily roots, there’s always dry shampoo to get you by! The perfect blowout will save a thick haired girl from having to use multiple heat products on their hair. 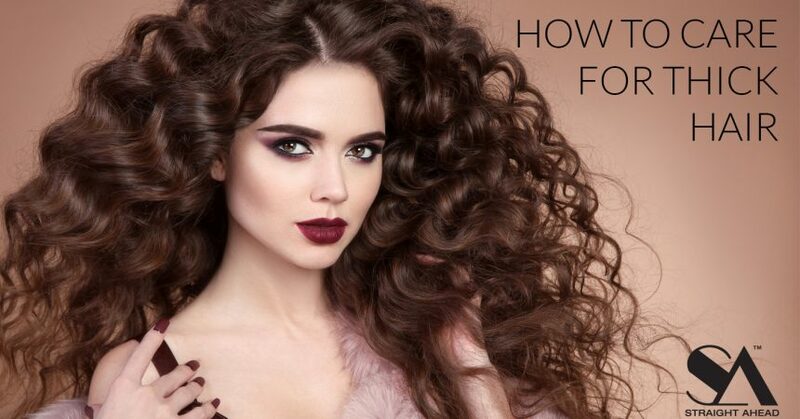 We know the struggle of blow drying, straightening and then curling to get your locks in tip top shape, but learning how to master a blowout can knock out a few of those steps and leave you with sleek, voluminous locks. One of the biggest blessings of having thick hair is the huge variety of styles that you can create that girls with thinner hair might struggle with! From braids, updos and half-up styles, you can try any or all of the above with your thick tresses. If your hair is just too thick to manage for the day, try a beautiful fishtail braid. If you’re feeling fun but need to alleviate some thickness, throw half of it up! The hairstyle possibilities are endless with thick hair…lucky you! Of all the mysterious, maddening hair fantasies we see on the runway during Fashion Month, effortless messy waves are the most perplexing. For starters, anything described as effortless usually takes an absurd amount of effort—or at least some secret know-how. Once you factor in the length, texture, and “to heat-style or not to heat-style” variables to the equation, you’ve got a complex hair problem worthy of a team of scientists and a whiteboard. Since we take our own hyperbole seriously, we’ve collected the best ways to get peak effortless waves with and without hot tools. If you deal with breakage on the daily and don’t want to risk heat styling, you can still get in on the messy waves action. Begin with totally dry hair and ready lots and lots of firm-hold mousse. Rake the mousse through your hair with your fingers, starting at the mid lengths (if you start at the roots, you’ll get wet-look hair; cool if you want that, but FYI in case you don’t) and work your way down. Next, fold sections of your hair upwards at about one-inch intervals, then gently squeeze. It feels a little funny at first and you might feel compelled to overthink it, but it’s really that easy. Once you’ve folded your hair into waves you’re happy with, set them in place with flexible hairspray. Done and done. The trick to getting that awesome undone look with a curling wand is all in the way you work the barrel. Start by holding the barrel of your wand vertically—and partially wrap one-inch sections of your hair around the wand to shape it. Give the look just the right amount of piece-y finish by raking your hands through the waves and setting them with a dry conditioner. Lastly, run a texturizer throughout the length of your waves. Pro tip: Rub the gel between your hands first to warm up the product. It’ll help disperse the gel through your hair more easily. As for short hair, the approach to creating soft, natural waves is more or less the same with one major difference: your tools. We recommend using a one-and-a-half-inch barrel wand, again held vertically when curling. Start each section midway down and leave your ends straight to create more modern wave. Warning: When a pro stylist even tells you getting waves with a flatiron is harder than it looks, it means you’re going to need to give yourself the time to practice. First, it’s crucial that you’ve got a straightener that easily glides through your hair. One with beveled edges that will help since your hair won’t snag at the sides when you rotate the iron. Next, you want to twist the iron up and down, making sure to changing the direction the iron is pointing. When the iron bevels up, the top of your iron should be pointing up, and when it bevels under, the top of your iron should be pointing down. The finished result is a looser, more ’70s finish than you’d get with a curling iron. But just as cool. A mini flat iron may be the response to the hair you would like. 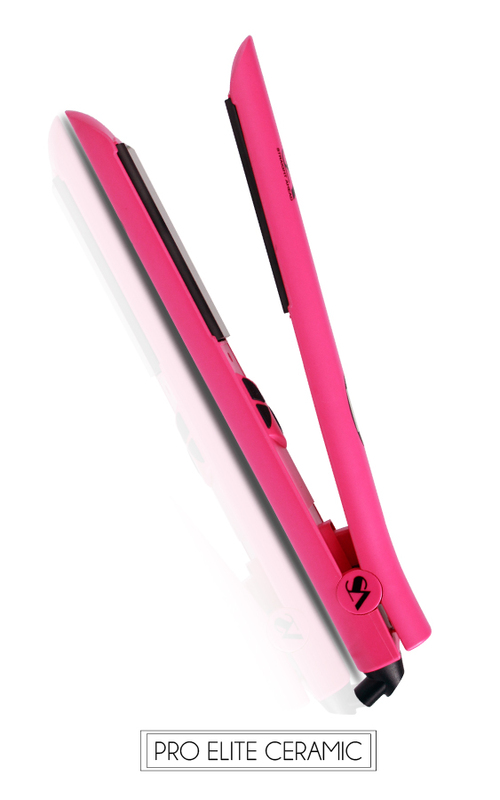 This flat iron includes a 3-year warranty, and is one of the greatest buys. Professional should you really want one of the greatest flat irons you should look to purchase a professional standard model. Cheap A great cheap iron is one which will at least straighten hair, not burn it. A lot of the work linked to my dissertation is far outside my dominant learning style (for example, heavy statistics). When it’s time to receive a head start on your Summer tan on the patio or you’re impatiently waiting for only a little warmer weather, a very good book is unquestionably a superior portion of your scene. You can’t when it’s going to be the next time you may hear something so plain and easy, but beautiful at exactly the same time. Trendy Yes, hair straighteners are getting more beautiful to have a look at. Or maybe you’ve got long hair and wish to make the most of your style with a curly or wavy appearance. With all these brands and products in hair care these days, it is not difficult to have beautiful, wholesome hair without having to spend a bundle. Being a real trader, you ought to be cautious of purchasing clothes as Guangzhou market extends to you apparels from low quality to high-quality. If you’re looking for buying winter clothes, have a round within this industry and purchase some exciting collections. Premium quality genuine leather bags usually have natural and musky smell. You ought to be heedful whilst choosing genuine handbags. 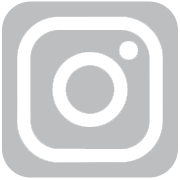 You will discover genuine leather handbags within this market. There’s almost always a good demand for cosmetics and its demand is always anticipated to be increasing. When you step in the current market, you’ll find a mesmerizing assortment of electronics from computers to any other electronic gadgets. This market has earned reputation for more than 100 decades. Guangzhou wholesale market is situated in China. It is the best place where you can buy electronics at affordable prices. Drawing the interest of people from all over the planet, Guangzhou car accessories wholesale market features automobile parts at invincible rates. When wanting to buy beauty goods, consumers want a reliable recommendation, and they are able to find one from any of the influencers they follow on social networking. You don’t have to wait for long to receive your product shipped. Selling cosmetics and hair goods in Guangzhou wholesale market is a remarkable concept to go off without a hitch. Most typical goods in the market are computers and phones. You will see high-end fashionable products. You are able to locate any sort of private care product. Inside this marketplace, you will come across no western goods, only domestic products. There are products out there which work and provide you with a salon-look for a very affordable price. You will locate an incredible array of cosmetics shops and showrooms. The quality within this current market is usually good, but you can come across many distinct grades and designs. Naturally, you have to not forget the significance of merging a very good tool with the capability of the hair stylist to achieve effects. Hair breakage has many different causes. Healthy hair depends on an inner cuticle with overlapping scales that keep your strands together. When these scales fall apart, your hair can get dry and eventually separate, leading to damage. This causes breakage, along with other symptoms, such as frizz and dryness. 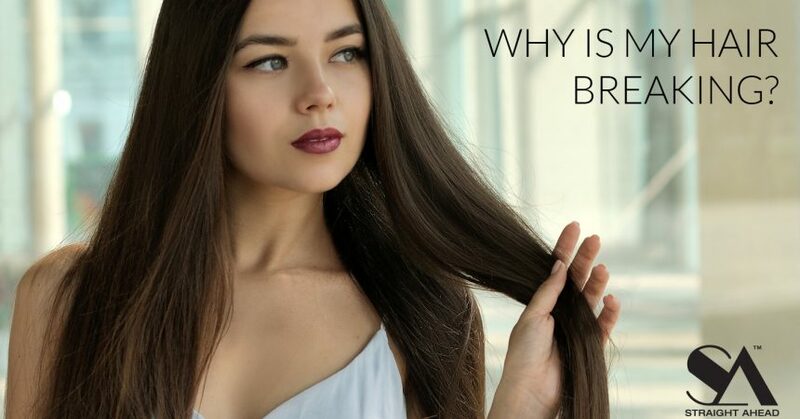 Learn more about some of the most common causes of hair breakage and what you can do about them. There’s actually a lot to the old saying “you are what you eat,” especially when it comes to hair health. Certain nutrients help your hair grow and stave off breakage from damage. Make sure you’re getting enough zinc, iron, and folic acid in your daily diet. Adequate protein and antioxidants (found in plant foods) can also keep your hair damage-free. There’s a multitude of evidence showing links between stress and hair loss, but it’s also known that stress can lead to hair breakage. Telogen effluvium is the type of stress most likely linked to hair damage. This type of stress makes your follicles go dormant, so hair that’s in the middle of a growth cycle may break off. You might notice old hair fall out, too. Managing your stress may result in healthier hair. Unusually dry hair is one of the precursors to damage and breakage. It’s also caused by a variety of factors, including dry weather, low humidity, and too much heat. Be sure you use warm and not hot water when you wash your hair — the latter leads to further drying. If your ends are dry, consider concentrating shampoo on your scalp only. Skipping conditioner is also a no-no. If you’re pressed for time, spritz on a leave-in conditioner before combing wet hair. 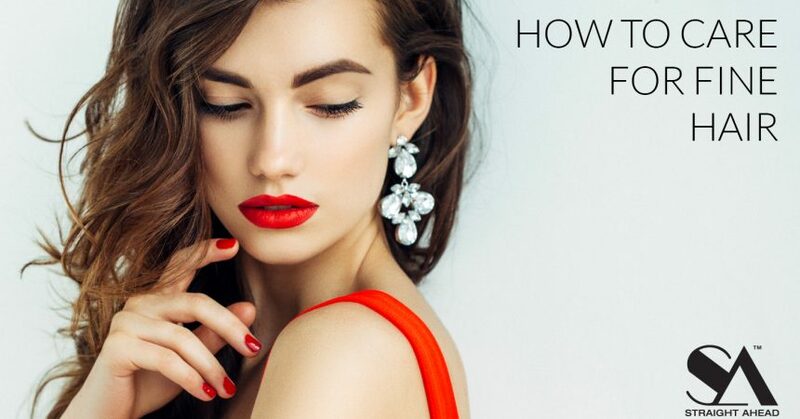 To get the best results from your hair dryer, flat iron, or curling iron, you need high heat. However, when you use these tools incorrectly or too much, you risk damaging the cuticle from extreme temperatures. One way to prevent overall heat damage is to give your strands a break from all styling tools at least once a week. To reduce the actual heat damage from your styling tools, select ceramic versions — these heat up more evenly so you don’t have to keep using them on the same sections of hair repeatedly. It’s also important to protect your hair before you apply the heat. Perms, relaxers, professional straightening, and coloring can all make your hair seem like it’s healthier after the first session or two. But if you do these services too often, the cuticle can break down and cause hair damage. The American Academy of Dermatology (AAD) recommends extending the time between your sessions to 8–10 weeks, if possible. In the meantime, try a hair mask to extend your results, such as this color-protecting mask. If you have oily skin, you’re also more likely to have excess sebum (natural oil) production in your scalp. This can lead to the temptation to wash your hair more often than you need to. While daily washes are fine if you have oily hair, you shouldn’t wash your hair multiple times per day. On the flipside, extremely dry hair may only need weekly shampooing, according to the Nemours Foundation. Also, be sure you shampoo gently at the scalp and apply conditioner smoothly from your ends to your roots. If you need extra oil reduction during the day, try out Living Proof’s Perfect Hair Day Dry Shampoo. When you step out of the shower, it’s a natural response to rub a towel on your skin and hair. However, this rubbing motion actually damages your hair when it’s most vulnerable (after being wet). Instead of rubbing water out of your hair, blot an absorbent towel around your hair instead. You can also leave a towel in your hair as a temporary measure to absorb excess water. Elastic hair ties are must-haves for keeping your hair out of your face while working out. And, let’s face it, they can come in handy on bad hair days or when you’re in a hurry. The problem with hair ties is they pull on your scalp and hair cuticle. You may even notice some hair falls out every time you undo your ponytail. You can fix this by wearing your hair down once in a while, or by making your up-do a bit looser so it doesn’t pull on your hair so much. Also make sure you’re wearing real hair ties, and not just rubber bands that can damage your hair. You may have heard that brushing your hair 100 strokes a day is good for your hair, but the AAD says that’s simply a myth. They recommend that you instead only brush and comb when styling your hair. Make sure you used wide-tooth combs to prevent breakage. You should also only use a brush for when your hair is dry, and avoid using plastic bristles. Try a brush with natural bristles instead. It may seem like cutting your hair can damage it. Ironically though, hair trims help keep your hair healthy and free of split ends. You can think of a hair trim like you would exfoliation for skin — in both instances, you need to remove some of the old cells to help new ones grow. When you have split ends, these splits in the cuticle can travel up the rest of the length of your hair and lead to breakage. See your stylist at least every eight weeks. Even if you’re growing out your hair, trimming damaged ends can prevent further breakage. Hypothyroidism (low thyroid disorder) occurs when your thyroid gland doesn’t produce enough thyroid hormones. Although the thyroid itself is small in size, it plays a large role in keeping your body functioning. This includes your metabolism, heart rate, and even your hair growth. People with low thyroid might notice excessive hair damage and loss, especially in the shower or after brushing. If you have dry, damaged hair combined with low energy, sudden weight gain, and depression, see your healthcare provider for a thyroid check. Learn more about the effects of hypothyroidism on the body. If you or a loved one has an unhealthy relationship with food, hair damage is a possible symptom. This is especially true of eating disorders that cause malnourishment, such as anorexia and bulimia nervosa. In such cases, hair follicles don’t have the nutrients they need to produce new hair and the process is terminated altogether. You may even notice new hairs that break off in the middle of the growing cycle. Eating disorders can lead to even more serious consequences and require medical treatment. Reading personal stories of those who have overcome eating disorders may help inspire you or your loved one to seek treatment. Wash and condition your hair daily, but gently. Use a swimmer’s shampoo and conditioner set after going to a pool. Try to let your hair air dry when possible. Make sure all weaves and extensions are light so they don’t pull on the scalp. Consider a new hair style that requires less damaging maintenance on your part. Eat a balanced diet to make sure your hair gets all the nutrients it needs. Avoid wearing tight hats for fashion — save these for sun protection only. Hair breakage can be frustrating. The good news is that most underlying causes may be corrected with lifestyle changes. If you still experience hair breakage after making changes to your diet and hair routine, it may be time to see a healthcare professional to rule out any underlying medical issues. Why Isn’t My Hair Growing? Does it seem as if your hair isn’t growing? Well, most likely, it is (if it truly isn’t, there may be an underlying health reason, in which case you should consult a doctor). But if your hair breaks off at an equal or higher rate than it grows, you’ll never see any length gains. Hair may show stagnant or negative growth rates for a number of reasons. Do any of these sound familiar to you? Because if they do, it’s imperative to break these bad hair habits and begin promoting healthy practices that allow you to keep every inch of growth possible. 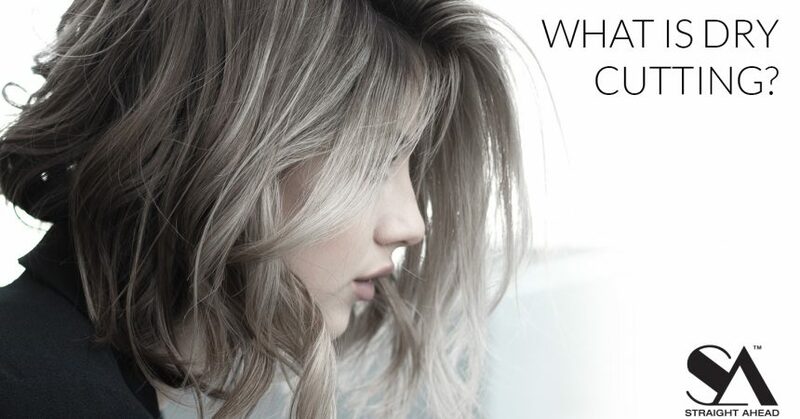 If you answered yes to any of these, it’s possible that your hair is over-processed. Although stylists aren’t always foolproof, it’s usually better to receive chemical services in a salon at the hands of a capable professional. You can have too much of a good thing, and trims fall into this category if you want longer hair. Many women resort to trimming their own hair at home after suffering the results of a scissor-happy stylist. Healthy hair doesn’t require as many trims as unhealthy tresses; the less you do to your hair, the less likely you’ll need frequent trims that take off an inch or more. Hair grows an average of 1/4 to 1/2 inch per month, so if you care for your hair properly, you don’t need to cut more than 1/2 inch every few months or so if you want to see growth. When you do trim your tresses, be sure to use shears designed for this process, and not dull household scissors that perform multiple tasks, from cutting craft projects to gift wrap paper. You may need to start. The more moisturizing products and practices you use, the better conditioned, and less likely to break, your tresses will be. Along with a good moisture level, hair needs a suitable protein balance to remain strong. The more chemicals or harsh practices that your mane goes through, the more important protein becomes, simply because every relaxer/touch-up, color, and even flat iron press compromises the strength of your strands’ cuticles. Weak hair usually breaks, after becoming thinner and less elastic over time. Because hair is comprised of protein, it needs protein in some form or other. As long as you follow a healthy regimen, you won’t need as much protein as someone who doesn’t, but a little protein helps most women maintain strong tresses. Aging brings with it a host of life complications, not the least of all is our hair. As we get older, chances are our hair is weaker. Years of heat styling and bleaching can build up to create major damage. Additionally, oil production on the scalp often begins to slow down after age 45, so hair may be less hydrated and appear coarser, making it more susceptible to damage and breakage.